As if my weekend at Barber Motorsports Park wasn't incredible enough, I managed to grab a few photos while inside the Vintage Motorsports Museum. 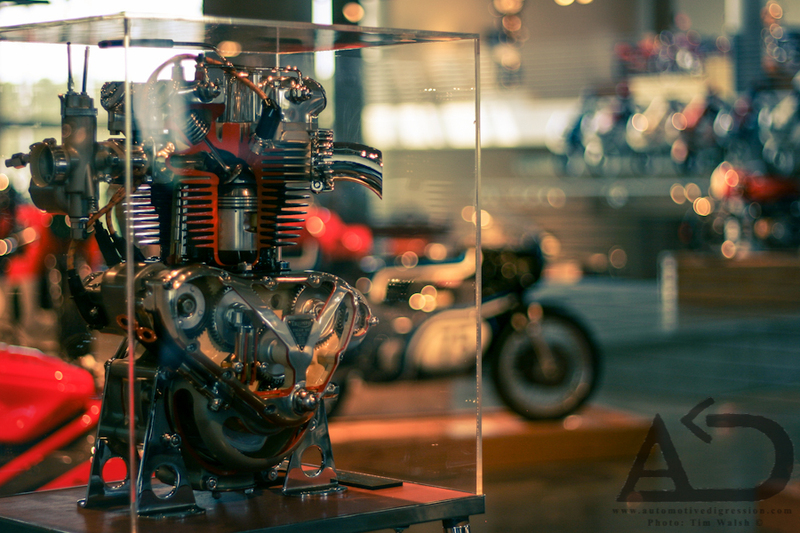 This is a cutaway of a 1930s Triumph Tiger 80 engine among the 1,200 vintage motorcycles and racecars inside the museum. Categories: "Barber Motorsports Park", "Barber Vintage Motorsports Museum", "Tiger", "Triumph"